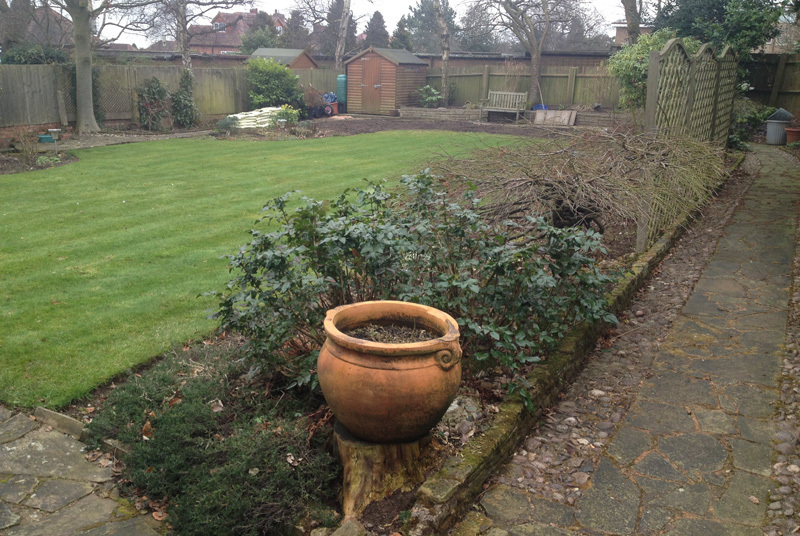 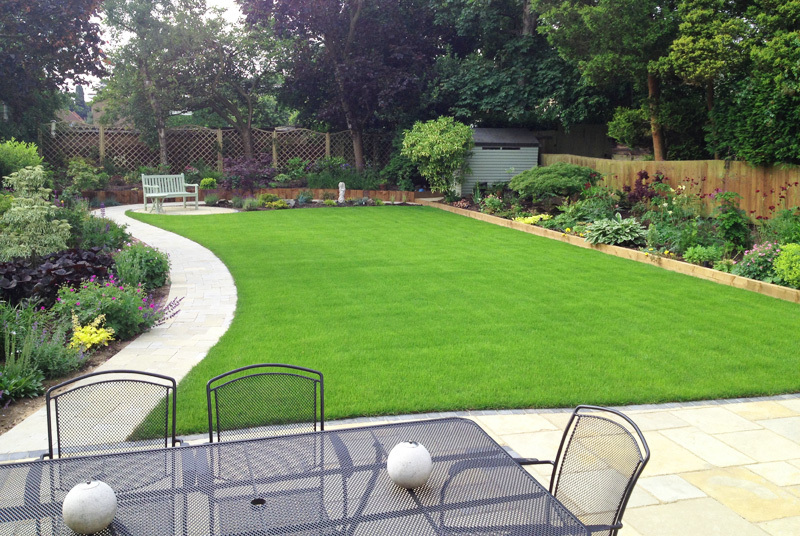 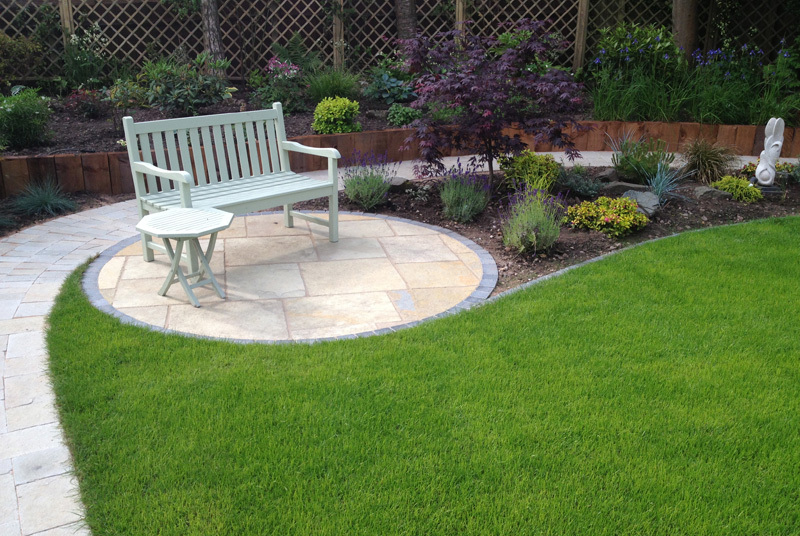 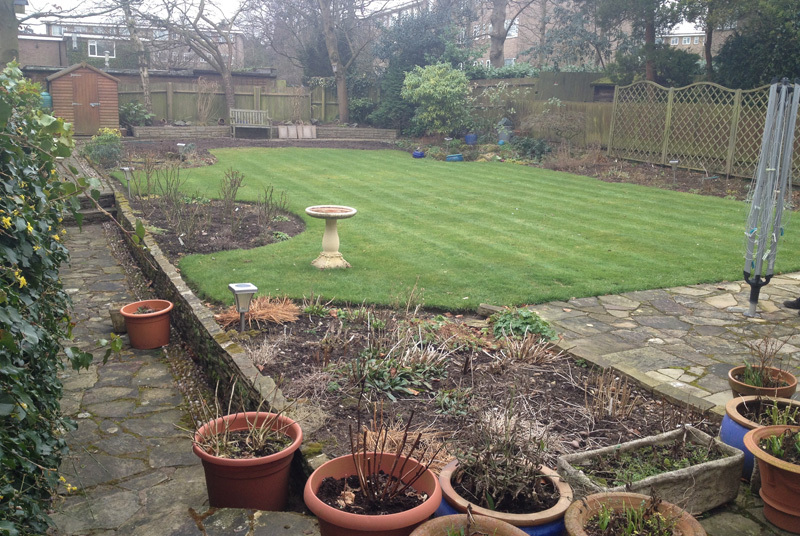 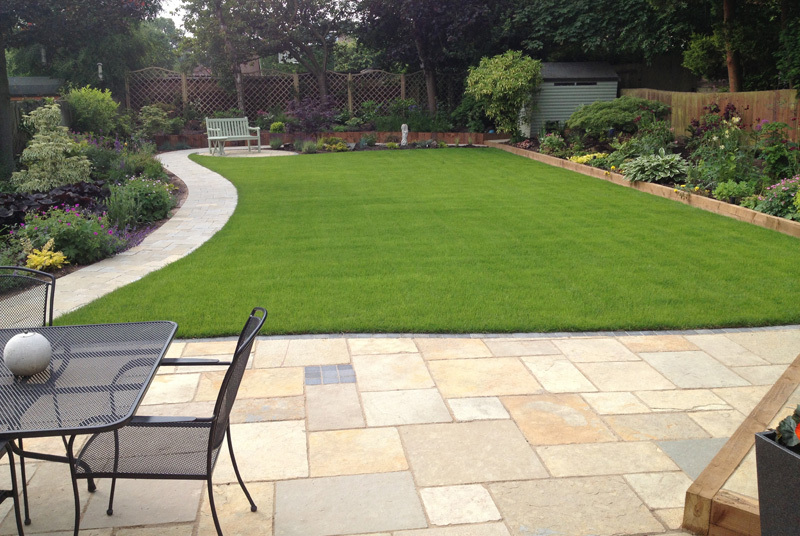 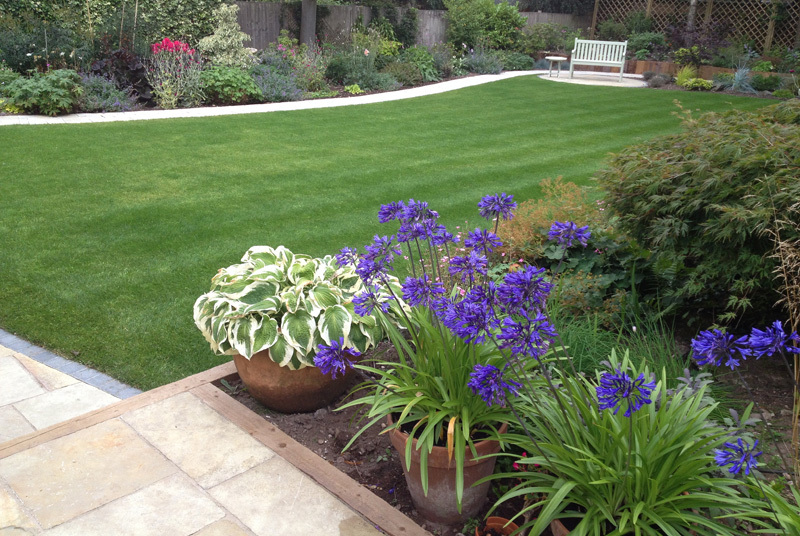 The client wanted Stle Earth to transform a tired garden to a classic spacious outdoor area. 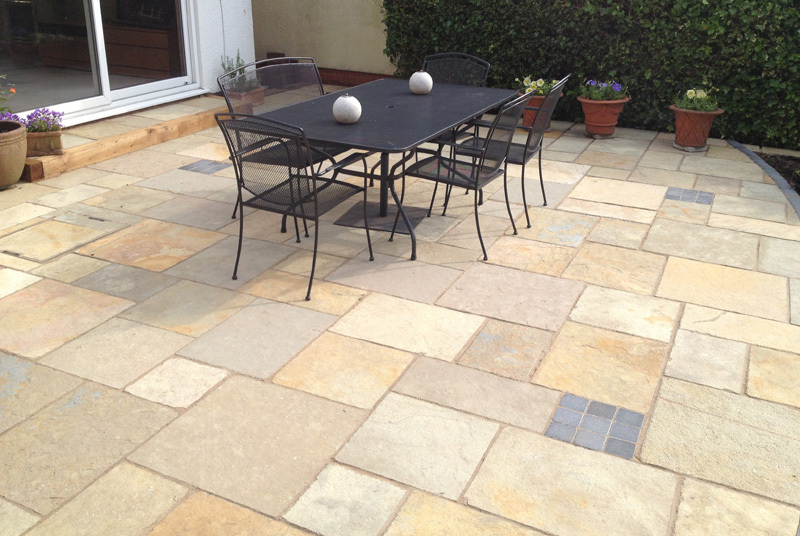 This was achieved by removing the paving and replacing with a sandstone and tumbled block extended patio and adding a curved pathway. 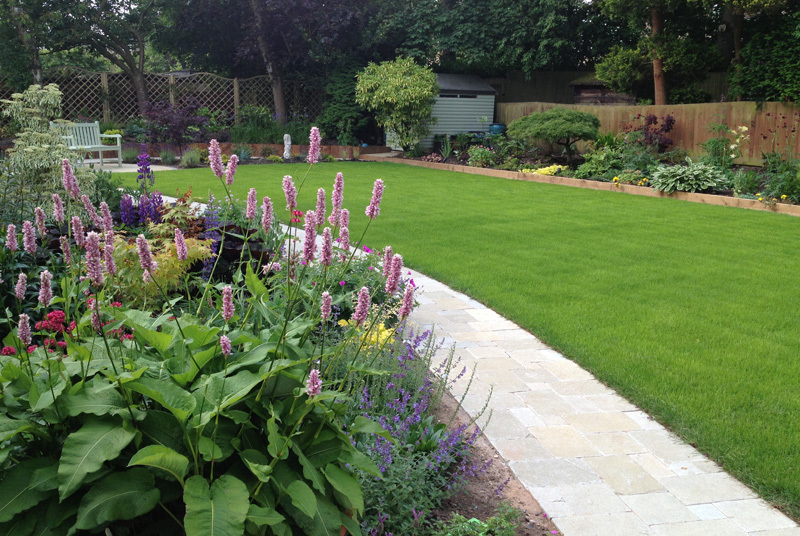 The newly turfed garden was framed with with wooden sleepers which included a wide array of carefully selected colourful plants, based on positioning and soil.